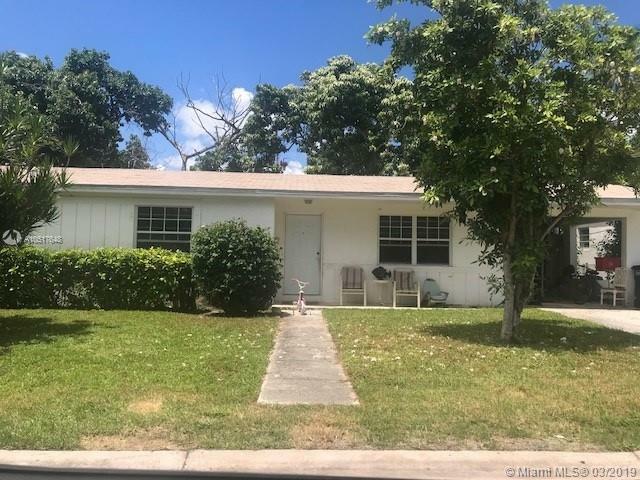 Tucked away in a quiet pocket of Coral Gables, this 3 bdrm 2 bath home located in Coral Gables is ready for your renovations! Newer roof w/ newer tile floors throughout. Kitchen is ready for remodeling and bathrooms partially renovated. Indoor laundry. Wall unit A/C. Great backyard space with fruit trees-mulberry, mango and sea grape. Around the corner from A schools. Centrally located near Coconut Grove, Goral Gables and South Miami, shopping and transportation.